ReDesign Network needed a site to sell products and promote workshops. It had to have a content management system that was easy to use and work on mobile devices. And people had to be able to find it on Google. The homepage challenge was to feature content from the shop and the workshop calendar and highlight a single product in a way that could be changed later using the CMS. We updated the existing website theme to one which works on mobile devices. 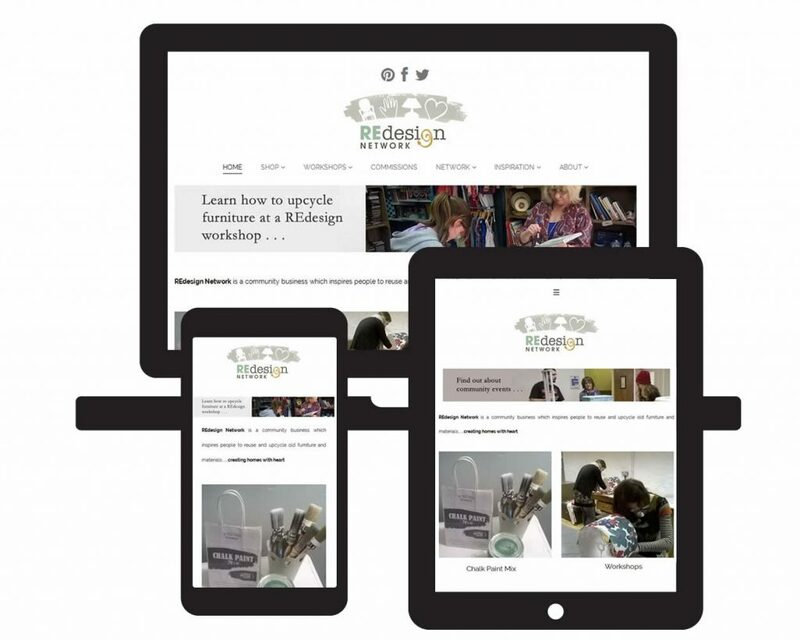 We reworked the existing content, added online retail and set up a search engine optimisation system. We ensured that both the shop and calendar could be filtered by visitors looking for specific items such as hand-painted furniture or half-day classes. We also added security and site back-up systems. We added content prior to relaunch, optimised the content for Google indexing and delivered CMS training to the client.